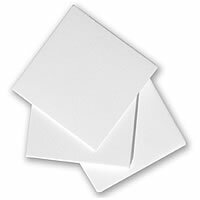 Very soft and can be highly compressed with relatively light torque, Novatex Gasket Sheet can be applied in FRP, Porcelain, Plastic and Glass lined piping or vessels. It is very strong and tough, it can also withstand high compressive loads without affecting its sealing capability. 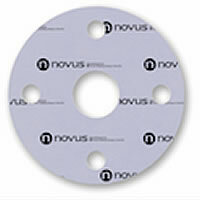 Novatex Gasket Tape can be used wherever a thin gasket is needed and wherever an FDA suitable material is required. 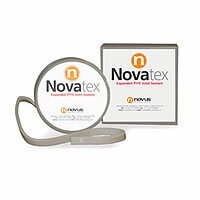 Novatex Joint Sealant has high tensile strength, flexibility and tough properties. 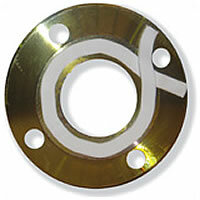 It is an ideal economic sealing gasket with a superior performance even in highly corrosive applications. Its resistance to chemical and thermal attack is excellent. Novatex Valve Stem Packing, made from 100% expanded PTFE is highly pliable and will conform to worn stems and packing glands to help eliminate the need for costly downtime and repair. Uniflon 50 is a superior performance biaxially orientated PTFE sheet sealing material with highly conformable properties, ideally suited to standard and irregular flanges. 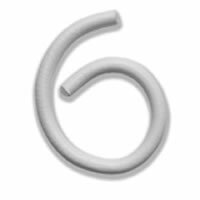 Uniflon 51 is a general purpose grade for sealing applications across the whole pH range. 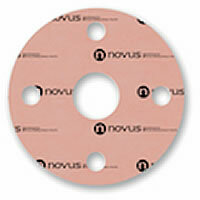 A general purpose grade for sealing applications across the whole pH- range. A superior performance PTFE based material with highly conformable properties on the surface layers with a biaxially orientated pure PTFE core. 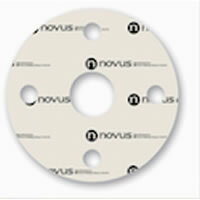 A superior performance biaxially orientated PTFE sheet sealing material with controlled porosity.